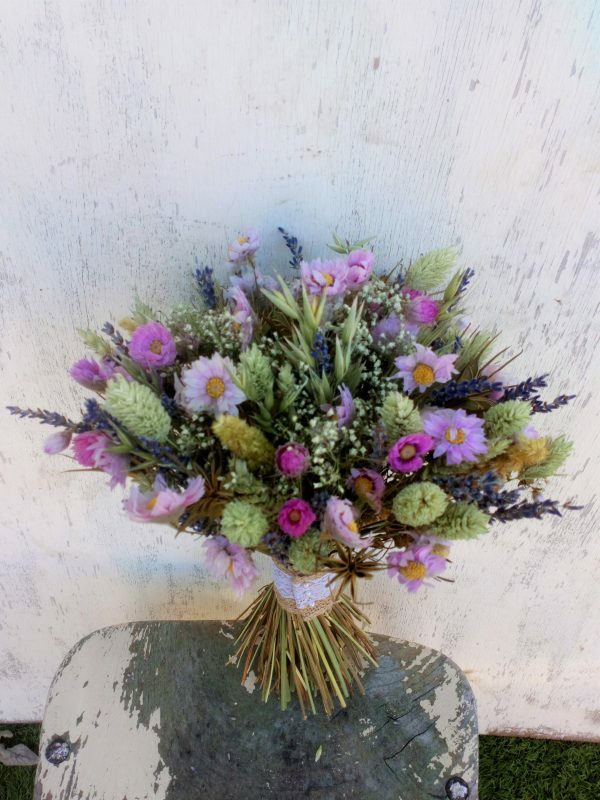 A pretty all round hand-tied bouquet made with all natural dried flowers of Nigella, pink Rhodanthe, Wheat, Lavender, Gypsophila, Oats and Phalaris. Finished lace trimmed hessian and ivory pins. 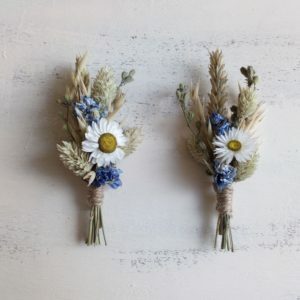 Perfect for rustic and country style weddings. Great for destination weddings, please check with your airline provider. A great wedding keepsake that will last and last if looked after carefully. 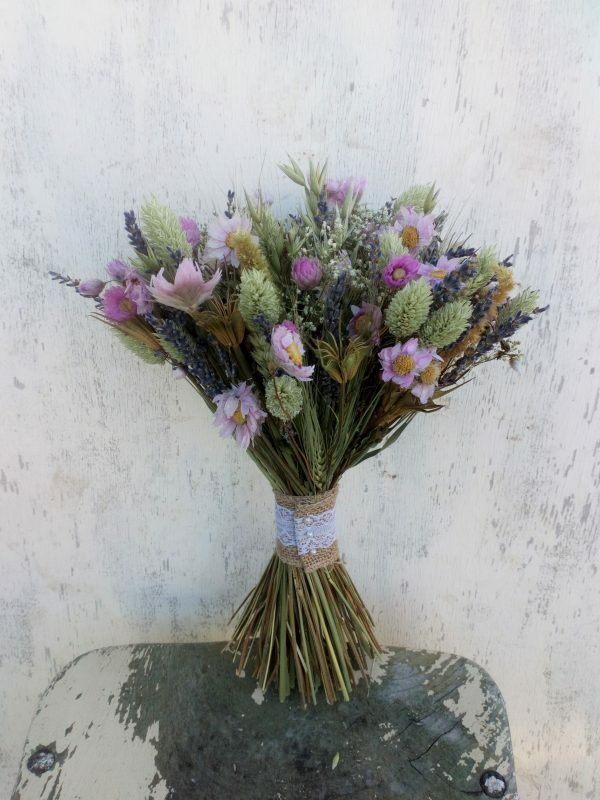 Alternatively make a great long lasting Easter flower gift and looks great displayed in a vase. The bouquet measures approximately 23cm in diameter. It measures approx. 28cm in length to flower tips. 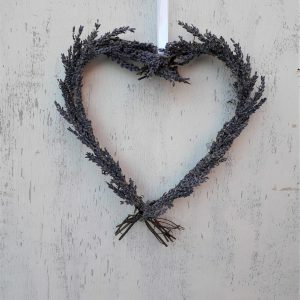 Dried flower material is delicate in its nature and can the occasional petal so handle as little as possible and keep away from heat sources, water and direct sunlight. 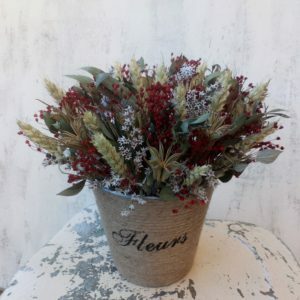 Why florist’s loved the Royal wedding flowers.